Madawaska Valley Hospice Palliative Care (MVHPC) is a non-profit community organization offering residential hospice in a "home away from home" model of care. Family, MVHPC staff, trained volunteers, family physician, community nursing and personal support workers (PSW) work collaboratively to provide 24 hour one on one care. Our 2-bed Hospice suite, with private entrance, is located within St. Francis Memorial Hospital (SFMH) in Barry’s Bay, ON which is in southwestern Renfrew County, 85 kilometers southwest of Pembroke, 95 kilometers west of Renfrew, 200 kilometers west of Ottawa, and 50 kilometers east of Algonquin Park. 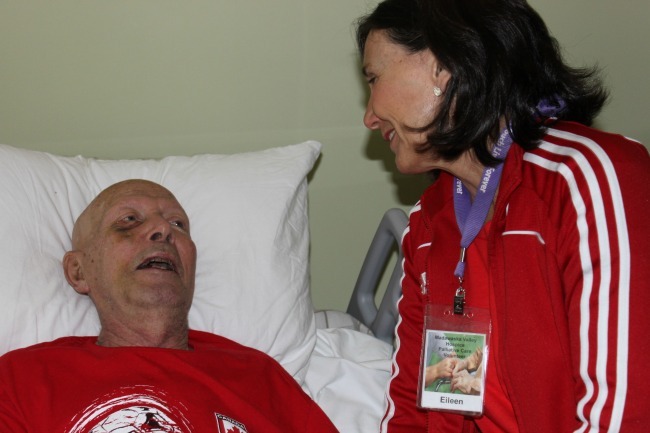 This program is for patients in their last few weeks of life and for their families. The Primary Physician has discussed the diagnosis and expected course of illness. 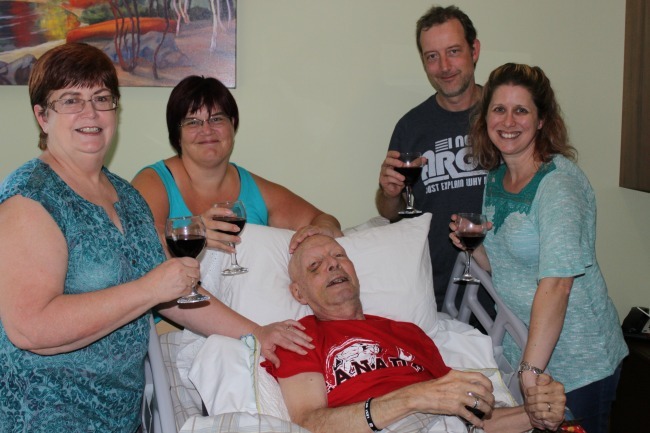 It is understood that hospice care is aimed at controlling symptoms related to illness and not striving for a cure, and that the goals and interventions employed by Madawaska Valley Hospice do not include extra-ordinary measures, including cardiopulmonary resuscitation (CPR). 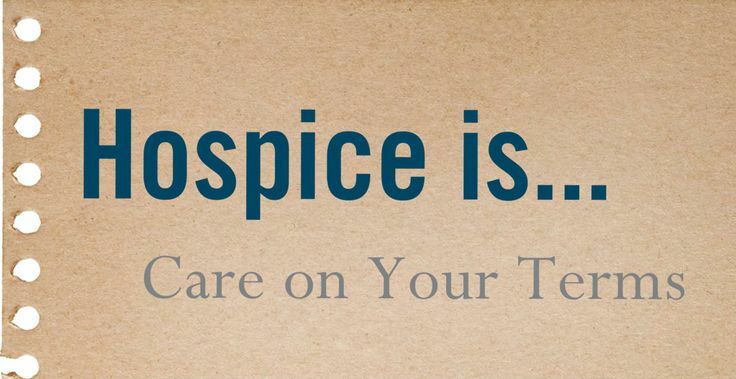 Hospice recognizes that palliative care is directed toward improving quality of life and seeks neither to hasten nor postpone death. 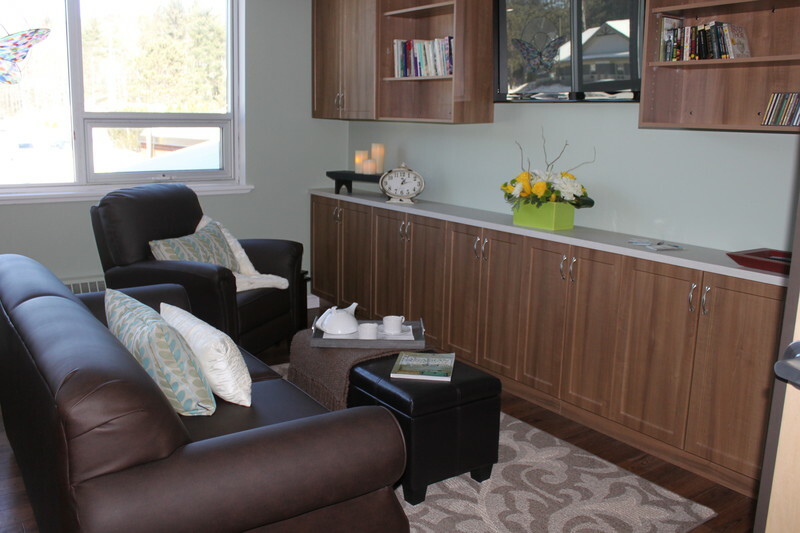 The Hospice setting provides a home-like environment which allows family to care for their loved one in close proximity to support services. 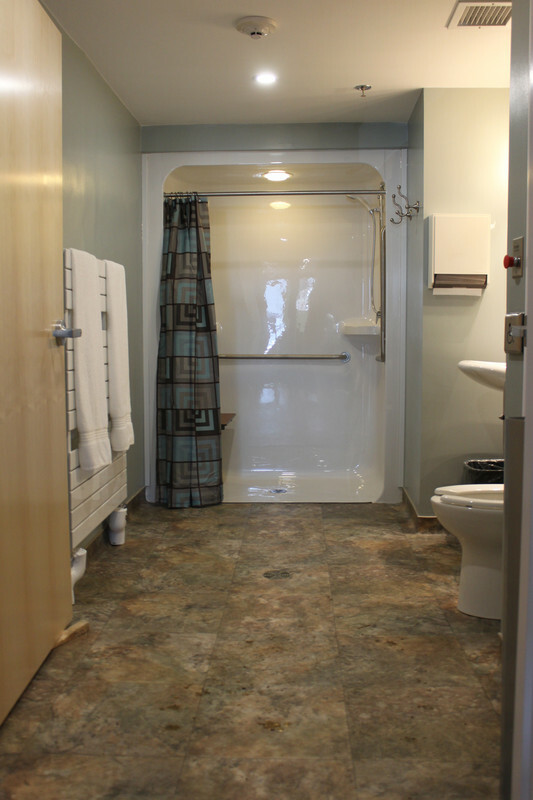 Care for the resident is provided by a team of caregivers of which the family is an integral part in providing direct care and companionship. 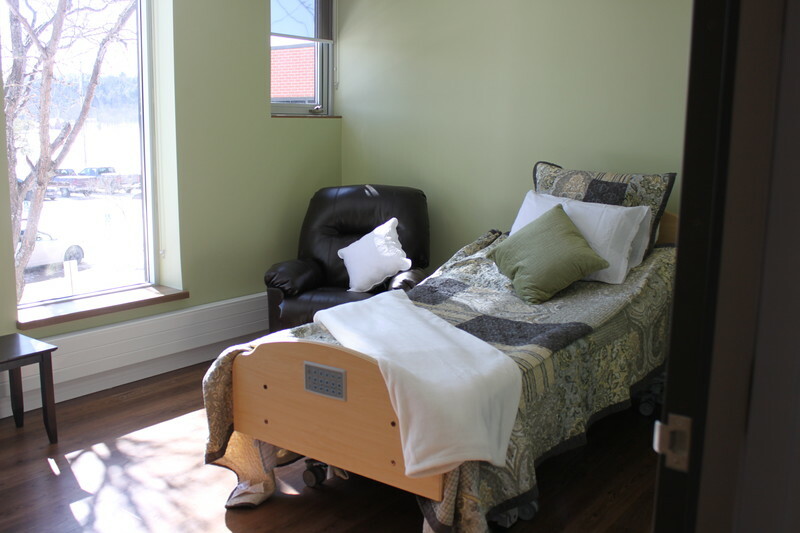 Professional nursing care will be provided by visiting nurses through the Champlain Home and Community Care (CHCC) service providers. 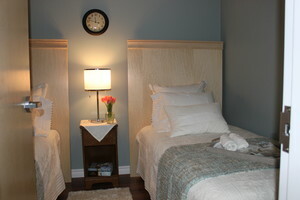 Families will receive a minimum of 8 hours of nursing each night but may be more depending on circumstances. On site volunteers will be available to assist resident and family with activities of daily living, to provide emotional support and to perform activities to maintain Hospice as a clean and safe environment. 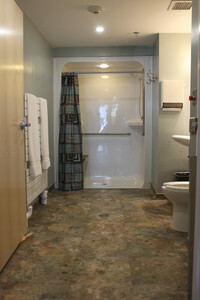 Medical care will be provided by the resident’s primary physician. In the event that the primary physician is away or if there is no primary physician, a palliative care physician will be available to provide End of Life Care. 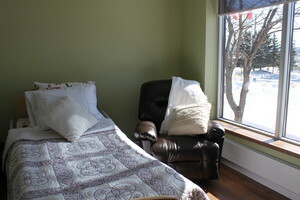 A spiritual advisor of the resident's or family's choosing will be welcome in hospice and able to participate in care. It is understood that Madawaska Valley Hospice will not be responsible for lost or missing money or valuables. 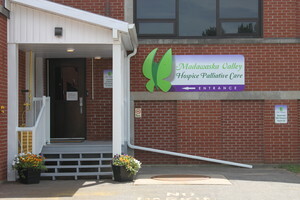 It is understood that the Madawaska Valley Hospice is a non-smoking facility. It is understood that there will be sharing of information between Madawaska Valley Hospice Palliative Care staff and volunteers and other team members (including nurses, doctors and other health care professionals), ensuring the best possible care for the patient/family member. Confidentiality will always be maintained.